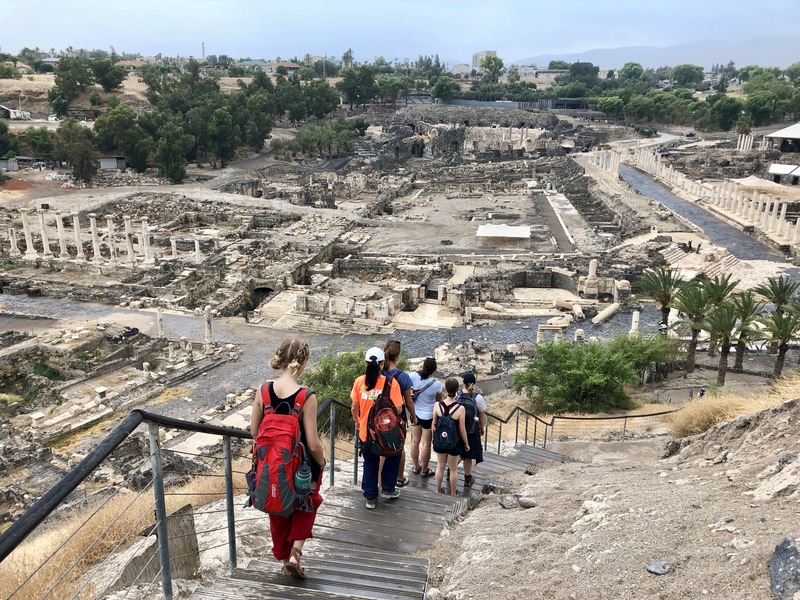 View of Scythopolis from Beth-Shean. The Roman Decapolis city of Scythopolis lies just south of the ancient site of Beth-Shean. Damage from the earthquake that destroyed the city is still in evidence.